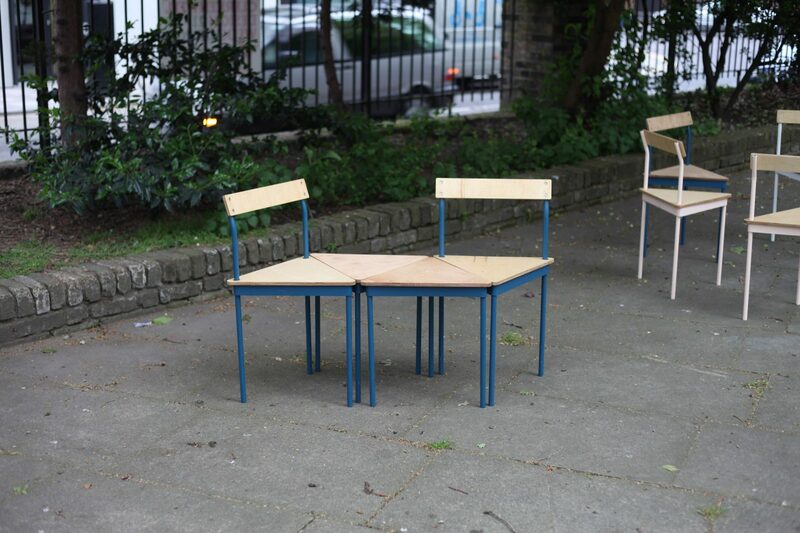 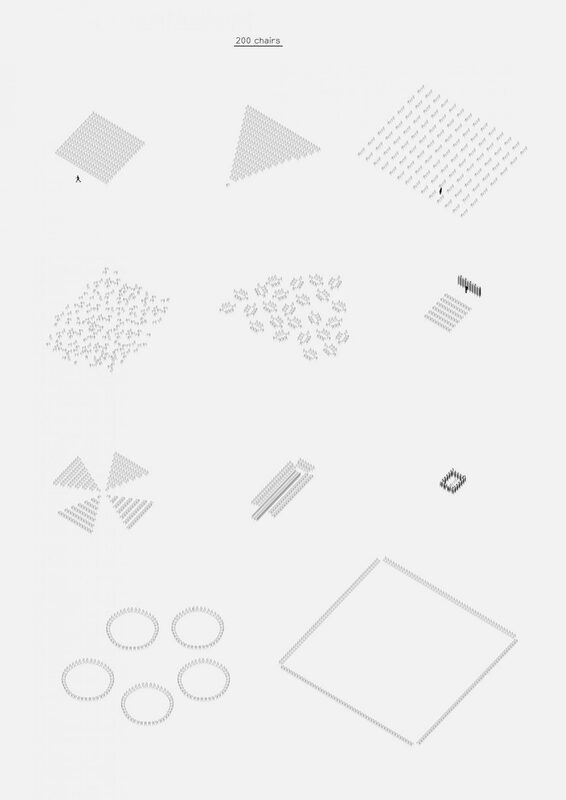 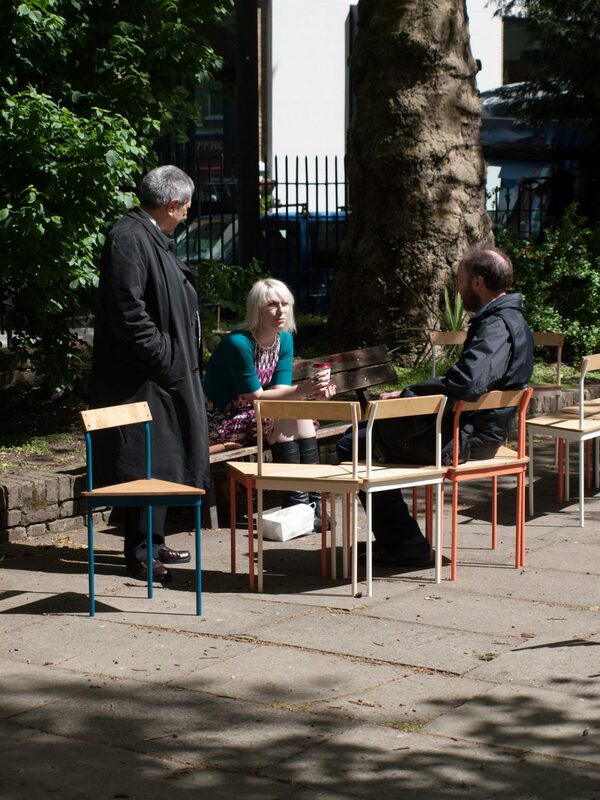 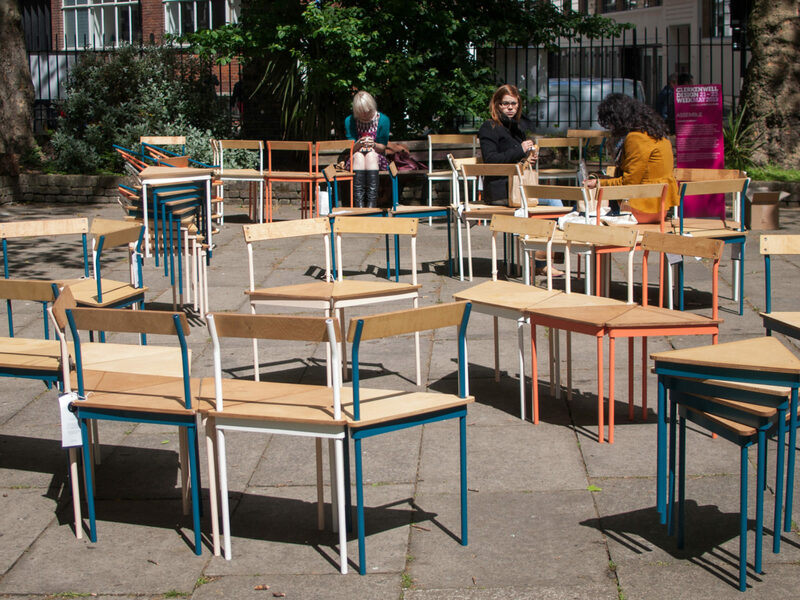 Assemble designed and built a collection of 200 modular, three-legged chairs and stools to furnish public spaces around Clerkenwell for the duration of Clerkenwell Design Week. 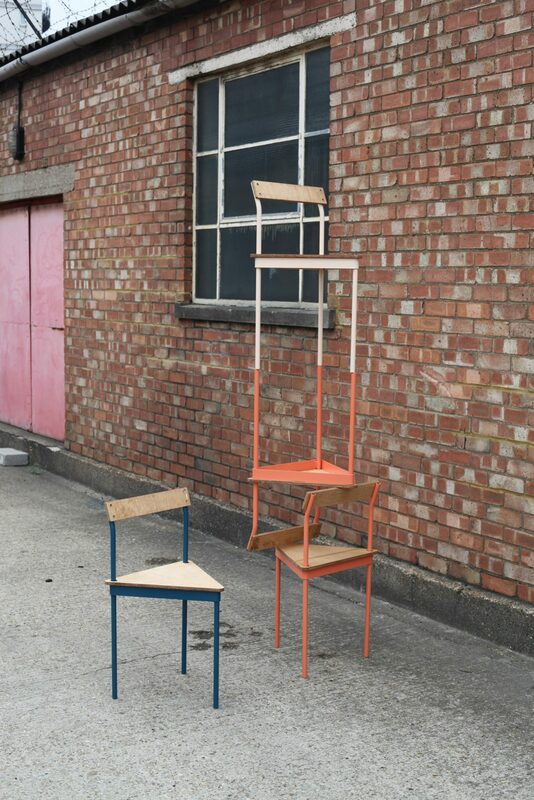 Stackable, tessellating, and re-configurable, the chairs function both as practical pieces of furniture and as an opportunity for play. 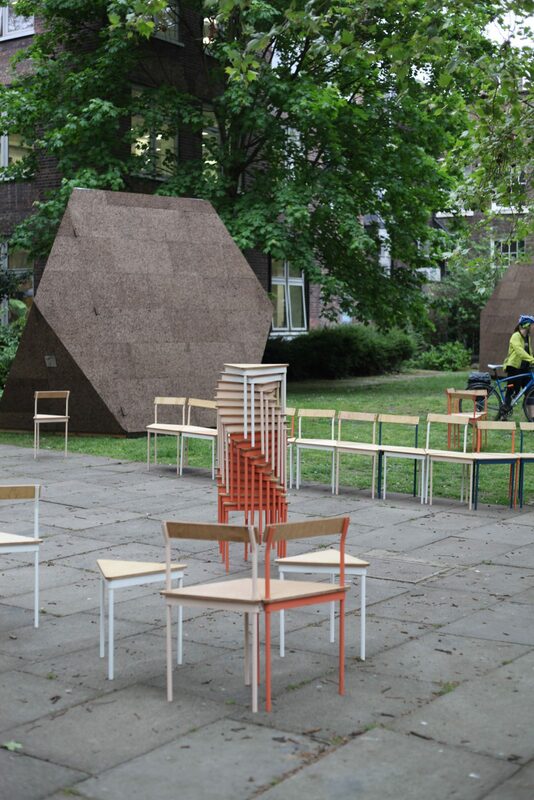 Their sheer multitude set up a number of absurd situations and throughout the festival their arrangements adapted to host a range of uses and forms: serving as modular benches, ad-hoc armchairs, whole amphitheatres and an alfresco banqueting hall. 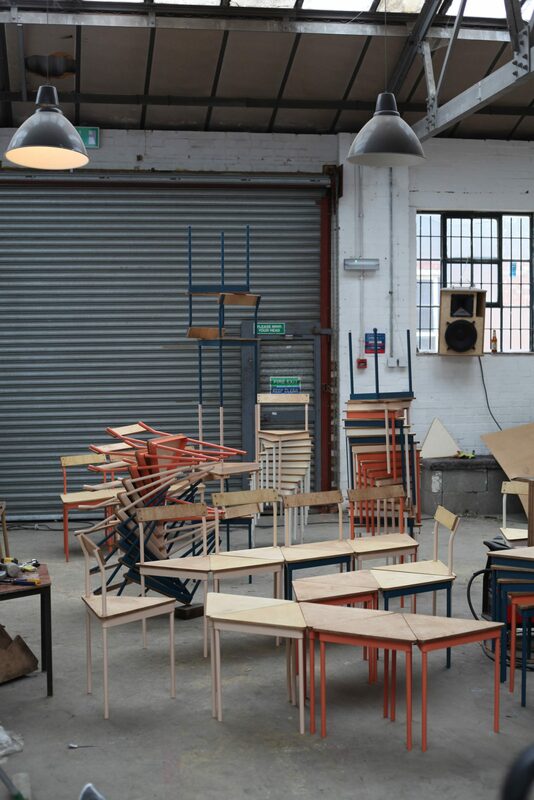 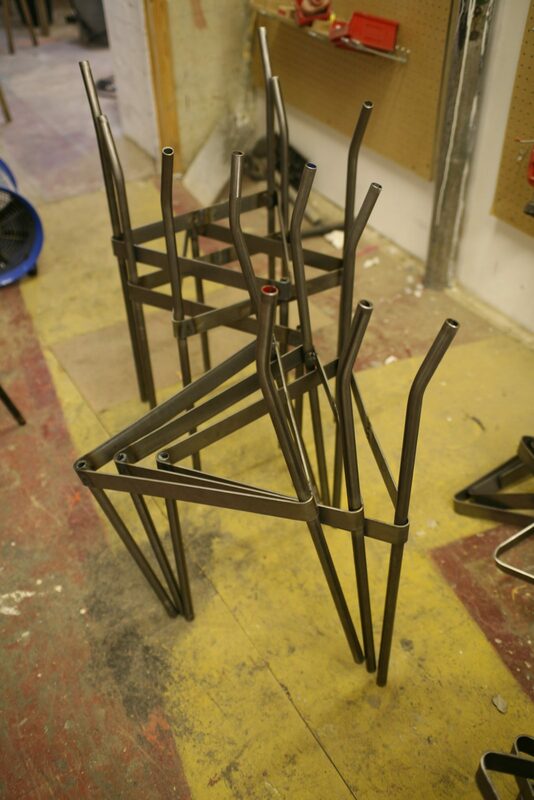 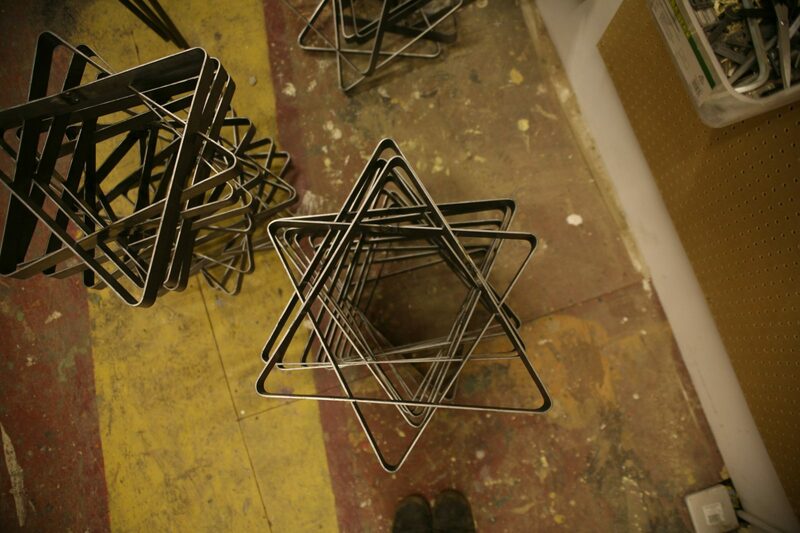 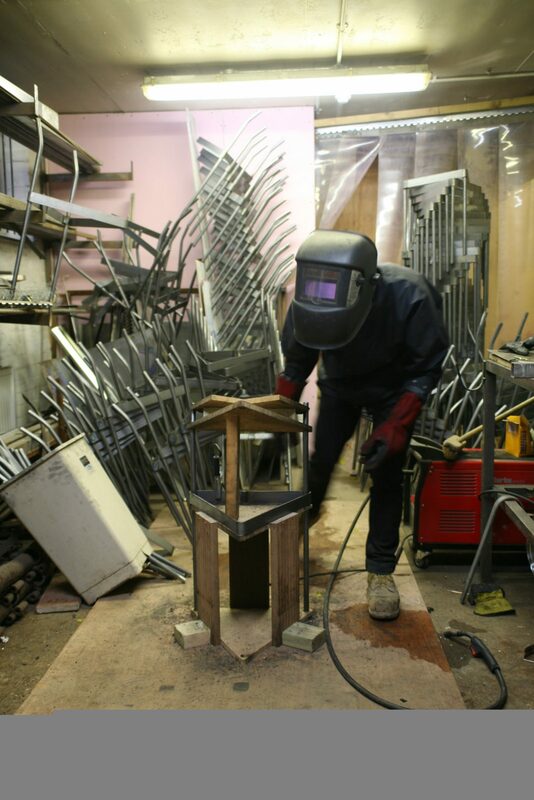 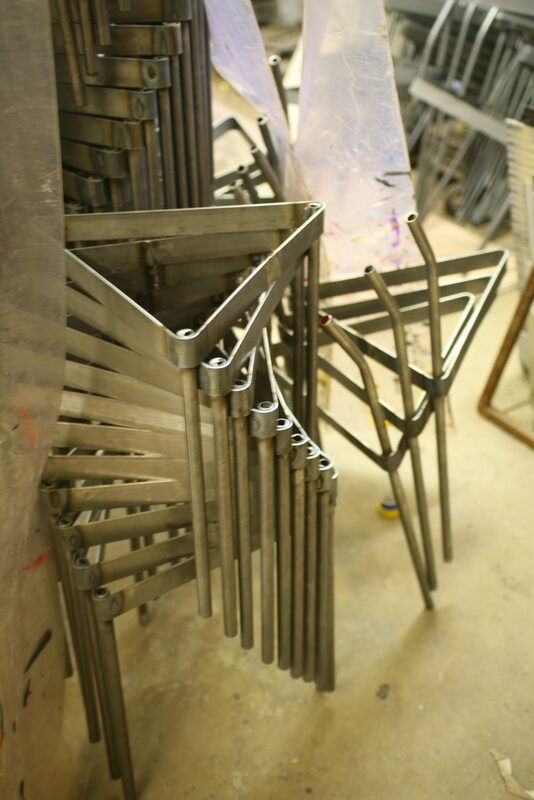 Built on site at Sugarhouse Studios, the chairs were simply constructed, with powder-coated steel legs and plywood tops.